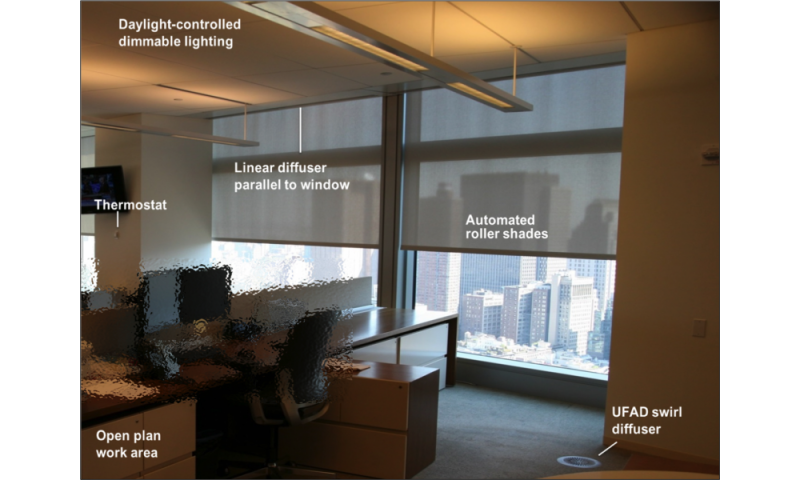 By using advanced lighting and automated shades, scientists from the Department of Energy's Lawrence Berkeley National Laboratory (Berkeley Lab) found that occupants on one floor of a high-rise office building in New York City were able to reduce lighting energy usage by nearly 80 percent in some areas. The dramatic results emerged at a "living laboratory" set up to test four sets of technologies on one 40,000 square-foot floor of a building. "Context matters when it comes to figuring out where the market barriers are with respect to contractors, facility managers, and office workers – isolated tests in a laboratory environment are often not enough," she said. "Reducing stakeholders' uncertainty about performance and occupant response in a real-world setting can be critical to accelerating market adoption." 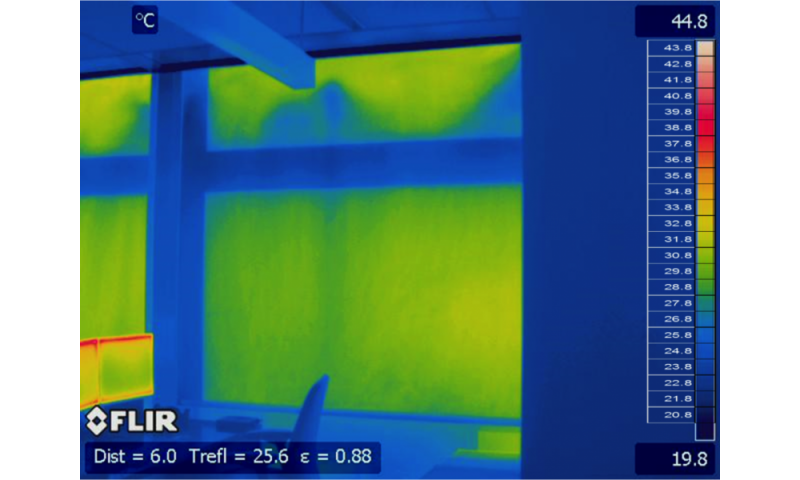 Though heating and cooling use weren't monitored during the study, researchers estimated that a building-wide retrofit would have provided total electricity cost savings of $730,000 a year, assuming an average rate of $0.20 per kilowatt hour. Using industry estimates of typical installed system costs ranging from $3 to $10 per square foot, the retrofits would pay for themselves in three to 12 years. The researchers also emphasized the importance of installer and operator training, along with systems that have strong diagnostics and troubleshooting tools, in boosting the adoption of these technologies. "Using everything we learned on this project, we've developed a series of tools that will really help the engaged design professional or building owner make better decisions about lighting system upgrades, and avoid the common pitfalls on the road to a high performance office space," said Yetsuh Frank, BEEx managing director of strategy and programs." The market for efficient lighting and shading controls continues to evolve. When the study began in late 2013, the researchers said, even basic features like wire color weren't yet standardized among technologies, causing confusion during installation. But "manufacturers have really thought about how to reduce the complexity of their systems" over the past decade, Lee said, making them easier to install and more turnkey, while costs continue to come down. She added: "In the next 10 years, as components integrate with coordinated, optimized systems, we anticipate these technologies will deliver even better performance at even lower costs."